Every year my mum has Christmas customs that must be adhered to in a surprisingly strict fashion. Cakes must be stirred on certain dates, scraggy old Fimo cribs must be resurrected and lolly-stick stars tacked to the tree for the twentieth year. She gets out our childhood books, A Child’s Christmas in Wales, Sam Pig’s Christmas story and my very favourite: Merry Christmas, Ernest and Celestine by Gabrielle Vincent. The latter’s melancholy strikes me: behind the sentiment, there’s isolation, poverty and cold in the story of improvising gifts and decorations from rubbish found in the woods. Any writer makes use of melancholy, and sometimes it forms the very heart of a story or poem. It seems to go with the closing in of winter or the end of day, as in Roddy Lumsden’s unsettling but stirring long poem ‘Terrific Melancholy’ from his collection for Bloodaxe Terrific Melancholy, published in 2011. The narrator of the poem is a thespian with a doomed crush on the actress playing the wife of his character’s younger self. They never talk. Love’s doomed and he knows it. He is haunted by the sweet and the dark of what has passed. The day has faded while he was working and living, and now it’s the middle of the night and he has discovered his own self-damnation. The poem’s delicate music and careful indigo-hued tone sounds grief for the gone and the what-might-but-never-will-be. Melancholy can affect entire cities. I thought of Lumsden’s London on a November trip to a fog-bound Istanbul. Orhan Pamuk describes Istanbul’s melancholy as hüzün, deriving from a Sufi self-despair – of not being good enough in the eyes of god. He sees the modern hüzün as the malaise of a city of people aware of great loss, a place shorn of its imperial glamour. I could see what he meant in the once genteel, now dilapidated, Ottoman facades, and the figures hurrying through the cold against the grand architecture. Maybe such an idea is just an invention of Pamuk and other writers, maybe it’s overly romantic. But it does make for evocative reading. Lumsden’s poetical actor is deeply sad, his obsession even verging on the creepy, but he elicits my sympathy. When Pamuk describes hüzün as a shared feeling of poverty and loss, you might recognize it – you’re with them. Ernest and Celestine’s DIY Christmas is tragic but there’s love there too. I think melancholy is the hidden side of Christmas – but it’s not all bad! If you prefer to hide behind a pile of books this season, you’re not alone, just think of the rest of us, at our own firesides or radiators doing the same! 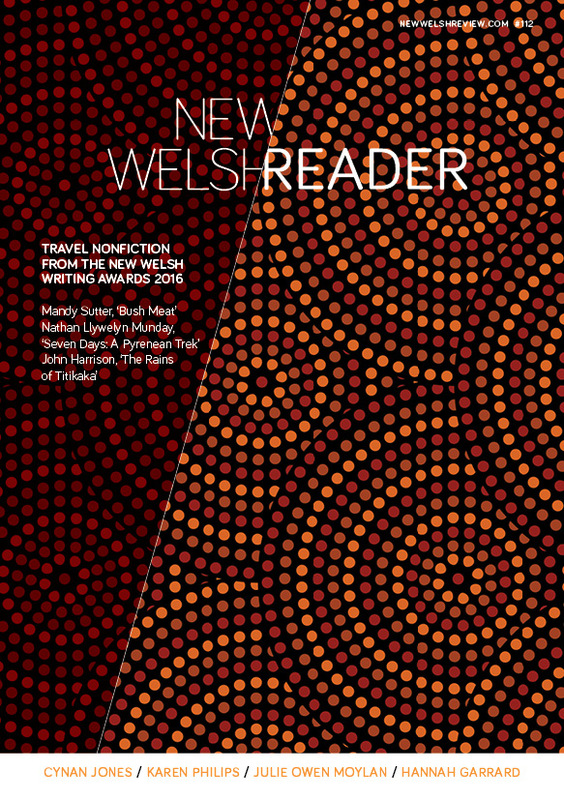 Nia Davies is an online contributor to New Welsh Review. Her debut pamphlet, Then Spree, was published by Salt on 15 November 2012.